Your guide to Financial Intelligence. To help small and medium sized businesses increase profitability and expand financial intelligence by providing a uniquely tailored solution of Experience, Technology, and Education. Offering a wide range of accounting and business services, all online and based in technology, PNW Financial Concierge is more than just an accounting firm. We are Your Guide to Financial Intelligence. We understand the unique needs of SMBs (small to medium sized businesses) and work closely with them to facilitate and maintain financial growth. 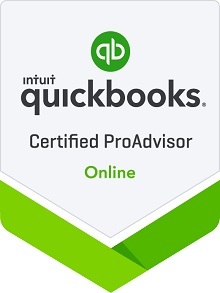 As QuickBooks Certified ProAdvisors with thirty years of combined and continuous use, we provide both QuickBooks Online and Desktop support and can answer the tough questions.